It was a sigh of relief, for now. Last week, the House Justice Committee officially wrapped up its hearings on the impeachment case against Supreme Court Chief Justice Maria Lourdes Sereno. The hearings, which began in September 2017, focused on the complaints filed by Atty. Larry Gadon against Sereno, particularly the latter’s statement of assets and liabilities that were deemed questionable. Throughout the proceedings, fellow Supreme Court justices, staff and other witnesses testified in front of House Justice Committee chairman, Rep. Reynaldo Umali, and the other members of the committee. In total, 14 hearings took place that lasted around 12 hours each. At first, the country’s top news outlets like ANC, GMA News TV, CNN Philippines and even Rappler were present to broadcast the proceedings in various platforms. However, it became clear that other important events and the overall length of each hearing took its toll on each network’s coverage, and by the final day the hearings were all but forgotten. It also didn’t help that the hearings got in the way of important news programs. ANC, for example, has cut its coverage short at times in favor of live newscasts. But for whatever shortcomings television and radio has, social media can take care of it. Viewers who were faithfully following the Sereno impeachment hearings from day one can thank the Facebook pages of each of the media outlets (particularly ABS-CBN News and Rappler) for providing uninterrupted and no-holds-barred action of the event. Such is the complicated nature of the Sereno impeachment hearings. Those 12 hours spent at the Batasan Pambansa were at times draining for media personnel, who were tasked to digest whatever words the witnesses, Rep. Umali and his fellow congressmen said. Still, the hearings were only the beginning. While Chief Justice Sereno goes on indefinite leave, the House Justice Committee commences its vote on the matter, and if they approve it, the Senate will now take care of business by virtue of an impeachment trial. 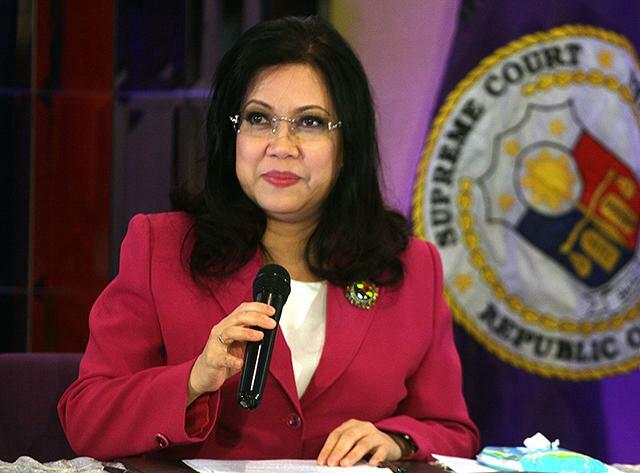 But in a late-breaking story, Solicitor General Jose Calida sought the Supreme Court for the nullification of Sereno’s appointment, citing the same complaint Atty. Gadon filed against her. This could get complicated because in the event that Sereno is removed from her post, the potential impeachment trial might be thrown into chaos. Regardless, media outlets should brace for the inevitable. The next few months could be crucial, so good luck with that. It will be a very busy day for journalists inside the Senate and the House of Representatives. 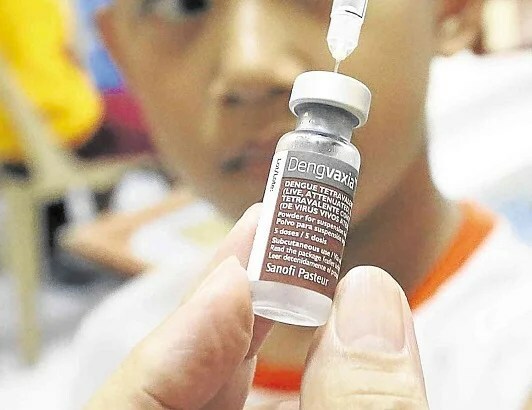 While the House Committee on Justice will continue its ongoing impeachment hearings against Supreme Court Chief Justice Maria Lourdes Sereno, the Senate Blue Ribbon Committee will begin deliberations on the controversial Dengvaxia vaccine. With two news-worthy events running at almost the same time, it will be very hard for viewers to keep up. The same can be said for the media who will cover the two hearings today. To the folks at ABS-CBN News, GMA News, CNN Philippines and Rappler, good luck in making the most out of the two live events. If not, there is always live streaming to cover all the interruptions and mistakes. A long afternoon and perhaps evening awaits news organizations in the Philippines. At around 2:00 p.m. today, the Senate will conduct a hearing in relation to the death of Kian Delos Santos and all other drug-related killings. Expected to cover the hearings live on television will be CNN Philippines, GMA News TV (unless they break character and go with regular programming), DZMM TeleRadyo and the ABS-CBN News Channel (ANC). News5, which has notoriously shunned any live broadcast of various news events on television and radio, will air the said hearing on their Facebook page and the News5Everywhere platform. And in case of unexpected interruptions by the aforementioned news networks (e.g. President Rodrigo Duterte’s live speeches), the live and uninterrupted broadcast of the hearing will be provided by the Senate’s official YouTube page. It can be recalled that on Wednesday, August 16, 17-year-old Kian Delos Santos was shot dead by policemen during an anti-drug operation in Caloocan. Upon reexamination of Delos Santos’ corpse, it was revealed that a pair of gunshot wounds in the head and another in the back killed the youngster. Today’s hearing will mark the third time that the Senate conducted a probe regarding the spate of drug-related killings in the country. The first took place during September and October 2016, and a second hearing (infamous for the testimony of Arturo Lascañas) took place in March and April 2017. Expect another marathon of a coverage later this afternoon as the Senate begins an intense and lengthy look at the death of Kian Delos Santos. Good luck. People’s Television Network has a very interesting case going on. Last night, while President Rodrigo Duterte fielded questions from the media, PTV-4 inexplicably used the feed of the ABS-CBN News Channel instead of their own (see example video below). The reason: Radio-Television Malacañang, the media arm of the Philippines’ executive branch, was caught off guard by the unscheduled Q&A. As a result, they were unable to document the press conference in time, so it was up to the respective networks to shoot their own. Unfortunately, PTV-4 failed to provide broadcast equipment in time for the impromptu event, forcing them to ‘borrow’ ANC’s feed. This is not the first time that PTV-4 used a feed from another network. On a few other occasions, they have borrowed ANC, CNN Philippines and even GMA News TV’s feeds during President Duterte and various other spokespeople’s live appearances, when in fact they should have been sourcing these material from either their own or RTVM’s. These occasional problems made it clear that PTV-4 is not ready to be a self-sustainable project just yet. While President Duterte promised sweeping improvements for the government station, so far these are on the side of gradual and not an immediate need at the moment. However, PCOO secretary Martin Andanar should have been aware of PTV-4’s shortcomings. Realizing that the network is still dependent on private outfits to source some of the material, Andanar needs to change that mentality by providing the much-needed budget for PTV-4’s broadcast equipment. The station should also be in constant communication with RTVM so that they can provide the necessary equipment in the event of a live appearance from President Duterte. With RTVM’s equipment more updated than PTV-4’s, perhaps the time is right for the two outfits to join forces and supplement each other’s broadcasts. But if RTVM will not be up to task, it is up to Andanar and the PCOO to ask PTV-4 to go ahead as it happens. In short, PTV-4 should be more prepared than ever to document these crucial events. PTV-4 is indeed the government’s best asset. But until they shed these overdependent tendencies, all that support will be for nothing.